NATURAL, TAsty, EAsy. How Food Should BE. Looking for a natural, tasty breakfast? I started making my own granola in 2012 as I wanted a nutritious breakfast that would keep me fuller for longer. When I shared it with family and friends, I got lots of positive feedback and, even better, requests for more. So in 2016, Penola was born. All ingredients are sourced from a Fair Trade Co-operative. I want everyone to be able to enjoy Penola and keep the price of Penola as low as I can – I want to keep it affordable so everyone can enjoy a good breakfast. Penola’s got a different nutritional make-up to other granolas. IT's a third oats, nuts, seeds and coconut – which makes it tastier and a good source of protein. 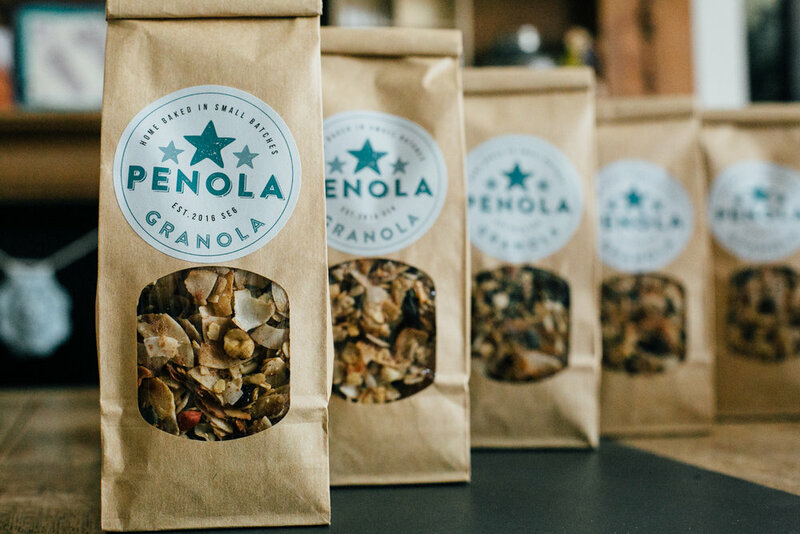 Here are some lovely local shops that stock Penola Granola.